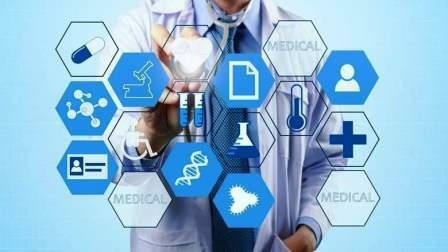 With the global healthcare IT market growing exponentially to meet increasing demand for heathcare services and reduced costs, the GCC region is no different, witnessing a shift towards connected healthcare providers. In a new report titled 'Life sciences and healthcare predictions' that focuses on trends in the GCC, Deloitte noted that GCC healthcare spending will reach $69.4 billion in 2018, with the primary drivers being changing demographics, improved longevity, and high population growth. The Middle East and North Africa medical technology industry, on the other hand, is growing at a rate of five per cent annually, and is expected to reach $11 billion by 2021. According to Karen Taylor, director of Deloitte Centre for Health Solutions, several new technologies such as the Internet of Things (IoT) will be at the centre of new healthcare investments. IoT technology is becoming increasingly mainstream with over 50 per cent of hospitals in the UAE, and Saudi Arabia using various IoT-based solutions. As part of its wider 'The future awakens: Life Sciences and healthcare predictions 2022' report, Deloitte provided six predictions on what the healthcare industry will look like in the future. The first looked at how the genome generation is more informed and engaged in managing their own health. "Individuals are better-informed about their health and are increasingly looking at ways to keep themselves healthy," says Taylor, speaking at a recent conference. "The adoption of technology is keeping people connected and active and helping to reduce the cost of healthcare." Deloitte found that telehealth use is accelerating, and that by 2018, 65 per cent of interactions with healthcare facilities will occur by mobile devices. Some 80 per cent of doctors already use smartphones and medical apps in healthcare provision. Secondly, Taylor noted that smart healthcare is delivering more cost-effective patient-centred care. Clinical roles have been optimised and staff are using cognitive technologies to deliver more seamless, integrated care, designed around patient needs. Thirdly, advanced cognitive technologies have improved the productivity, speed and compliance of core processes, with many companies deploying artificial intelligence (AI) and machine learning to increase the pace and productivity still further. In addition, AI systems are now being deployed to help pharmaceutical companies prevent drug-drug interactions and help clinicians interpret diagnostics. This has created vast amounts of data, which is faster and more detailed than ever before. However, Taylor warns that all this data would be wasted unless hospitals and clinics invest in the proper infrastructure that will allow their doctors and nurses to properly utilise it. Deloitte also found that exponential advances in life-extending and precision therapies are improving outcomes, and that valuable insights from human genetics, precision and personalised medicine will transform healthcare. Lastly, research found that new entrants are disrupting healthcare, and the boundaries between stakeholders have become increasingly blurred. Non-traditional healthcare players using their brand, engineering expertise, and knowledge of customers to disrupt the healthcare landscape. This will continue to challenge existing healthcare systems around the world.